This week I was supposed to have been in Norway for a conference. The conference got cancelled at the last minute, but I was already in Sweden by then, so I rearranged some things to meet with some other organisations while I am this side of the world. 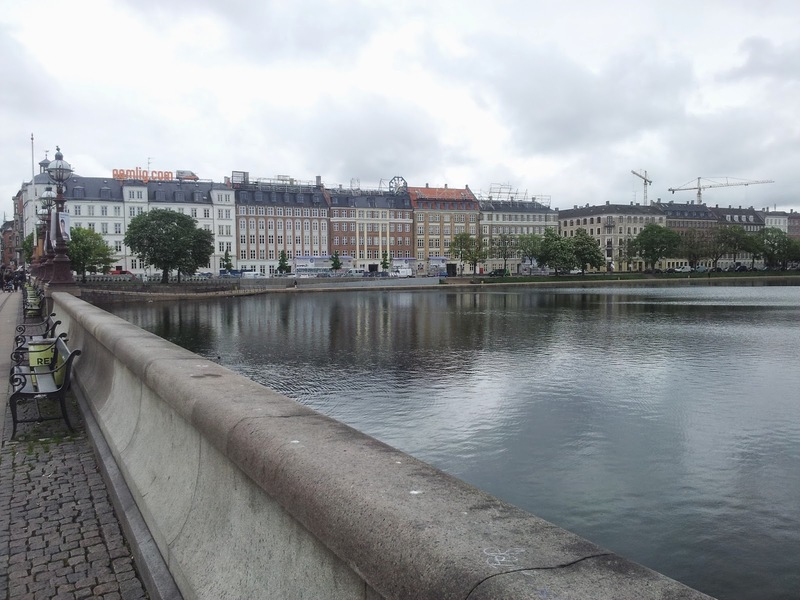 The upshot of all that is that I ended up with a day in transit in Copenhagen, with several hours between my flight from Oslo and onward flight to Luxembourg. 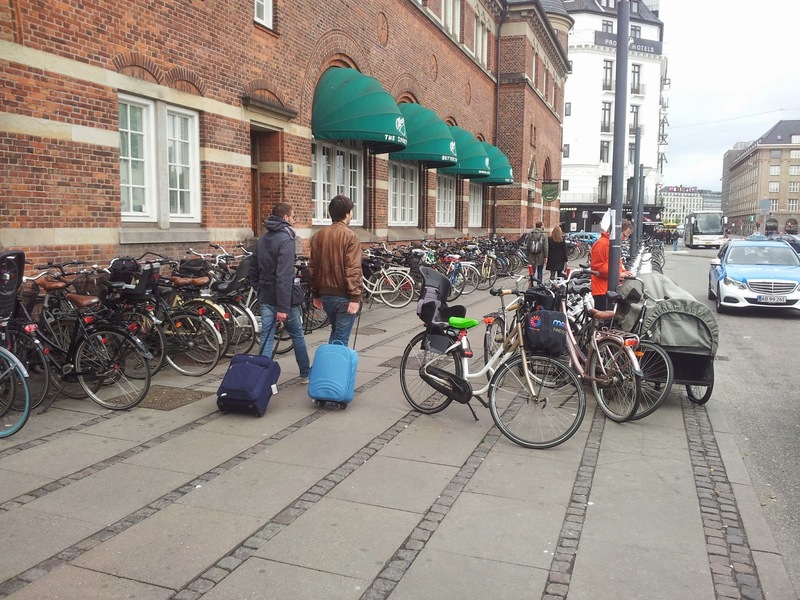 So naturally I decided to get out of the airport, and ride around in Copenhagen a bit. I have already ridden in Amsterdam twice, so I was especially interested in seeing how the "other cycling capital" compares. 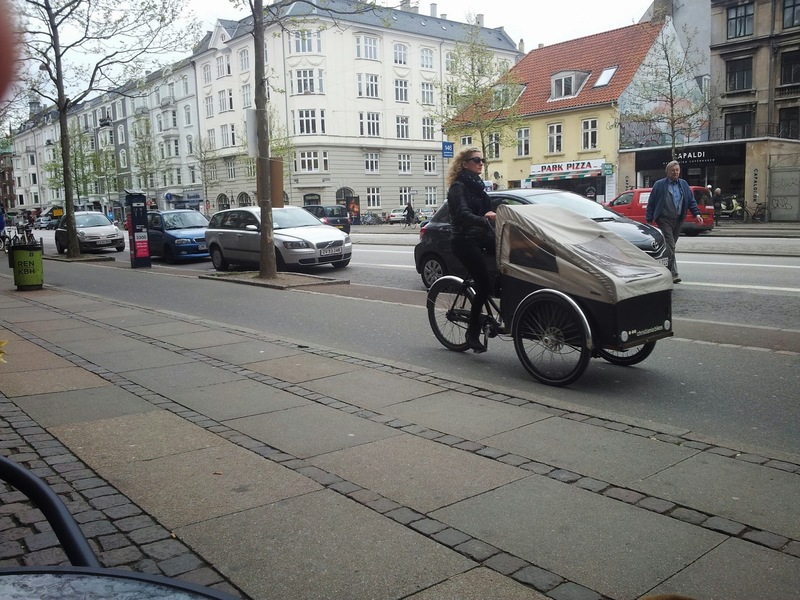 My overall impression was that Copenhagen was more of a compromise between a regular car-oriented city and a cycling city than Amsterdam, where bicycle reigns as the overwhelming mode of transport. 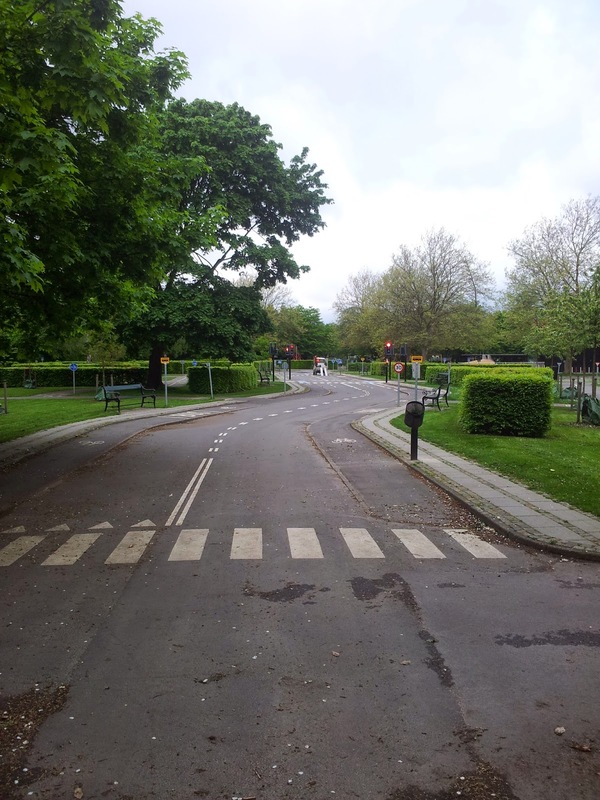 Copenhagen has much less cycling infrastructure than Amsterdam, with cyclists and motorists sharing the same physical roadway much more often. In fact, the key difference with Adelaide was more the attitude of drivers and cyclists to one another, rather than the infrastructure. This is a bit sobering, given the generally poor relationship between cyclists (who regularly flaunt the law and seem to go out of their way to annoy motorists at times) and motorists (who regularly fail to look for cyclists or other non-car road users, and seem to believe that cyclists somehow don't pay any tax or own and register cars, and thus should not be on "their [the motorists]" roads). 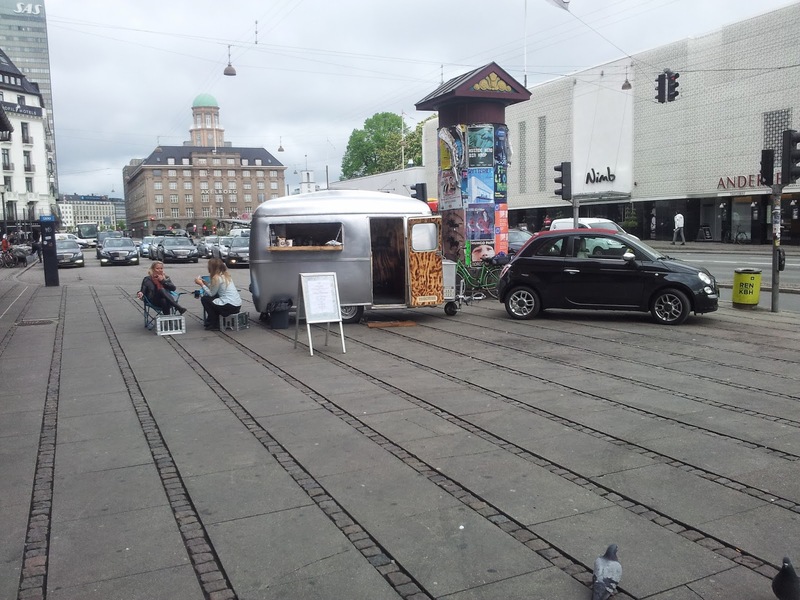 Anyway, enough social commentary, and now for some pictures of my wandering around Copenhagen. 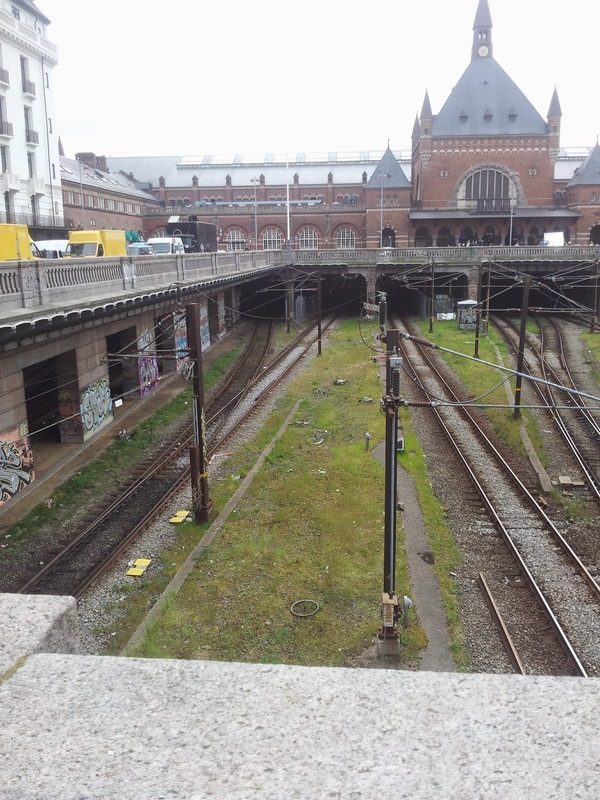 This was the view outside the front of Copenhagen Central Station. 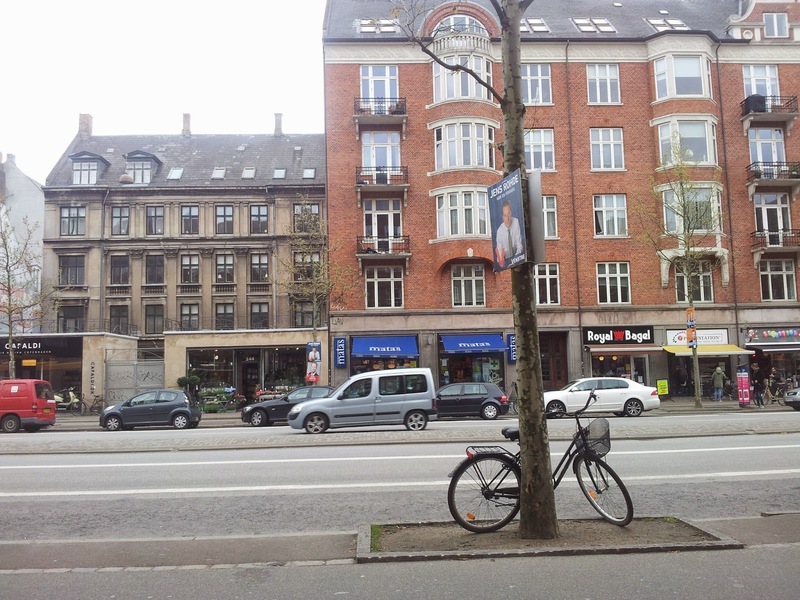 Only a few bikes to be seen in this direction, and much more car-oriented infrastructure. But look in another direction, or go around the corner, and there are lots of bikes. 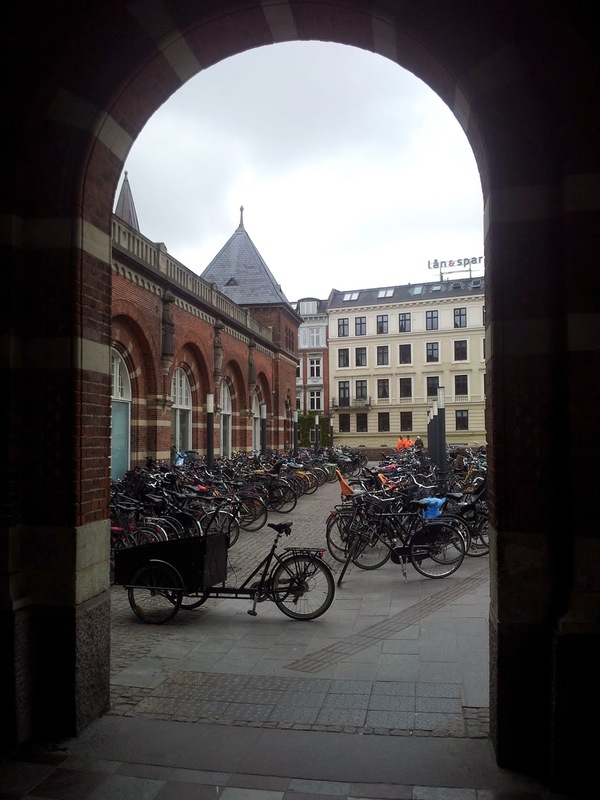 The bikes are much more varied in style compared to Amsterdam, with many more mountain bikes and racing bikes in the fleet compared with the much more uniform city-bike fleet in Amsterdam. Like in Amsterdam, some bikes find unusual graves. Here are the bent and buckled carcasses of bikes that have fallen onto the train line and been thrown into the verge. 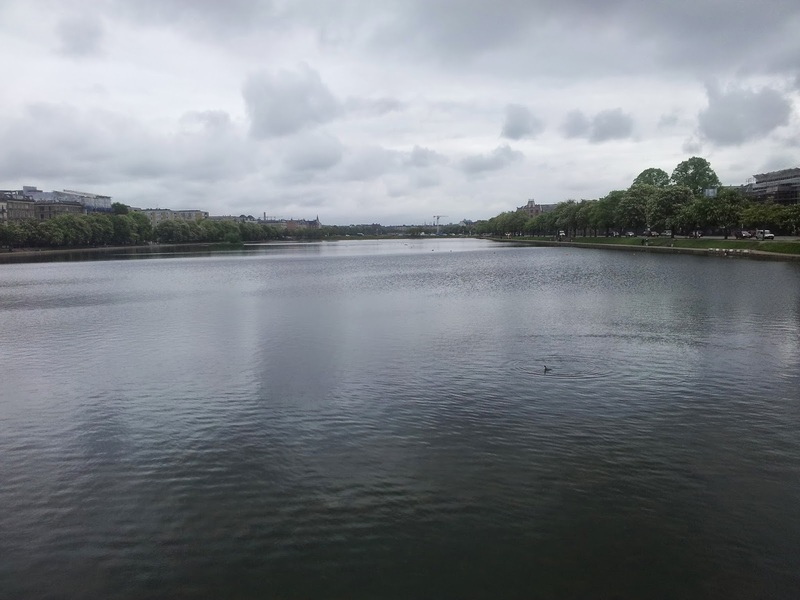 A nice view down the river from on a bridge. 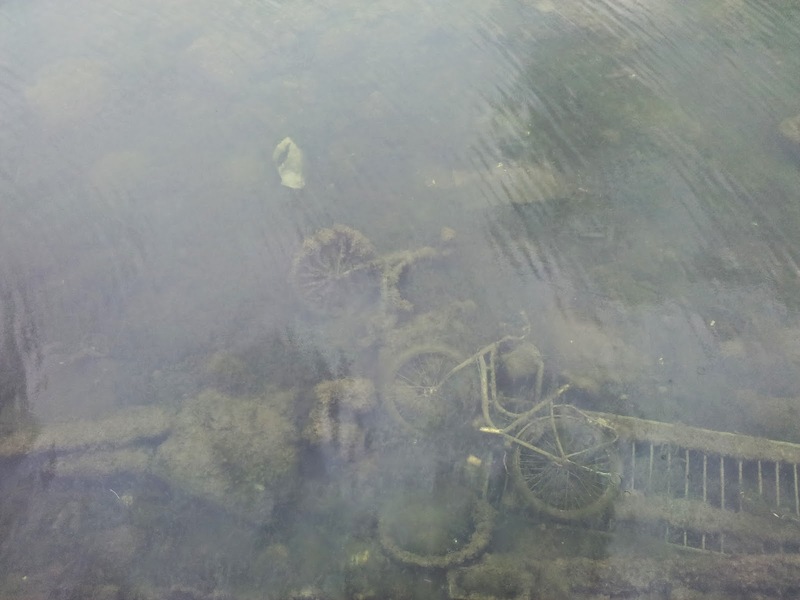 ... and looking down into the water which also serves as the grave yard for many bikes. 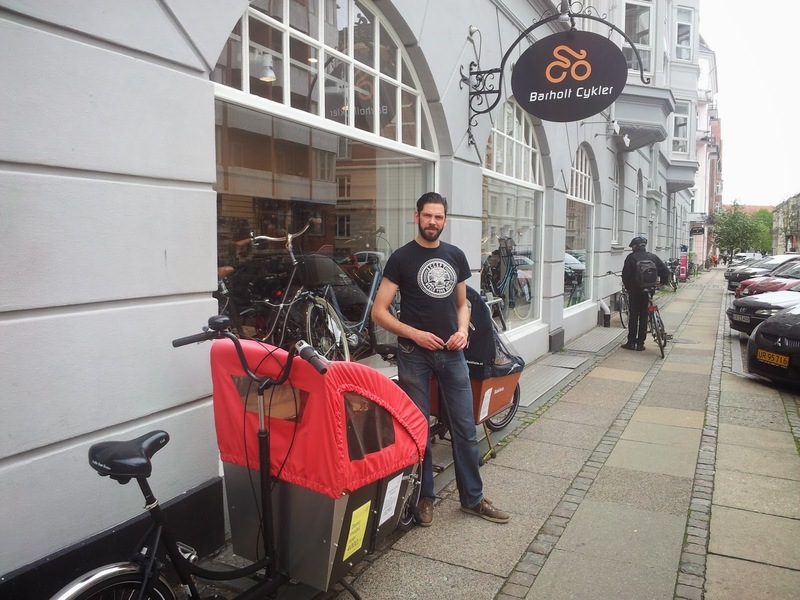 Here is the nice bike shop guy who let me try out a Christiania two-wheeler. While I was talking to him, this family turn up and say "You're from Australia, aren't you?" in a Melbournian accent. 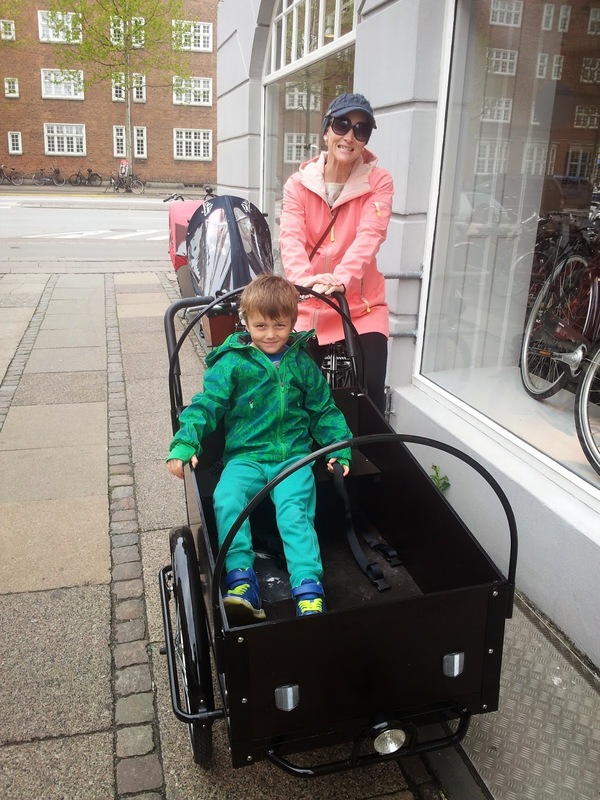 They are living in Copenhagen for a few months, and getting their new cargo bike serviced after assembling it themselves. 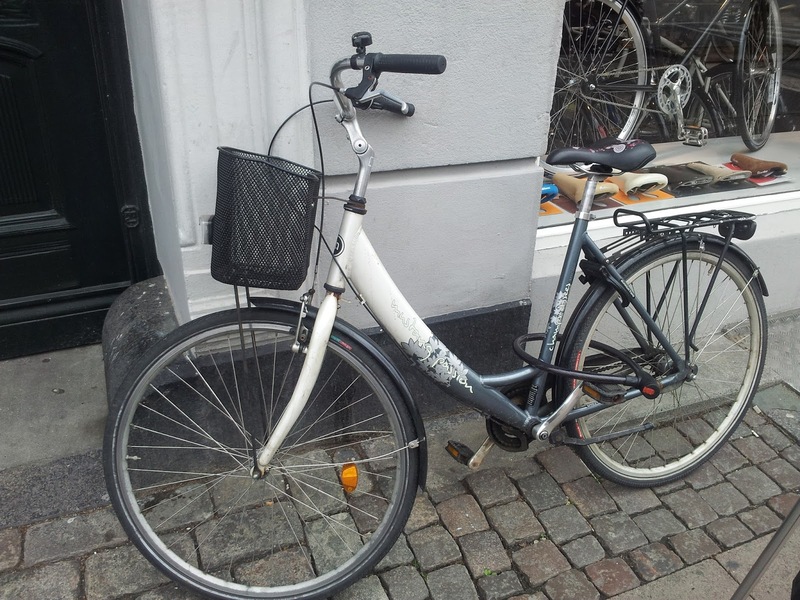 Here is my noble steed that I rented for DKK100 (about AUD$20) for the day. The Christiania was much nicer and more fun to ride! 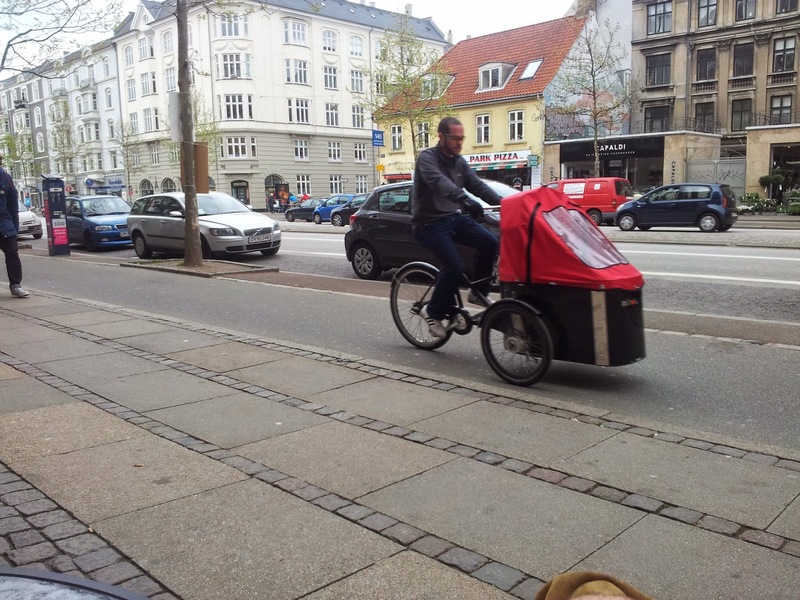 And some people riding past on cargo bikes. And a Mum riding a 3-wheeler. 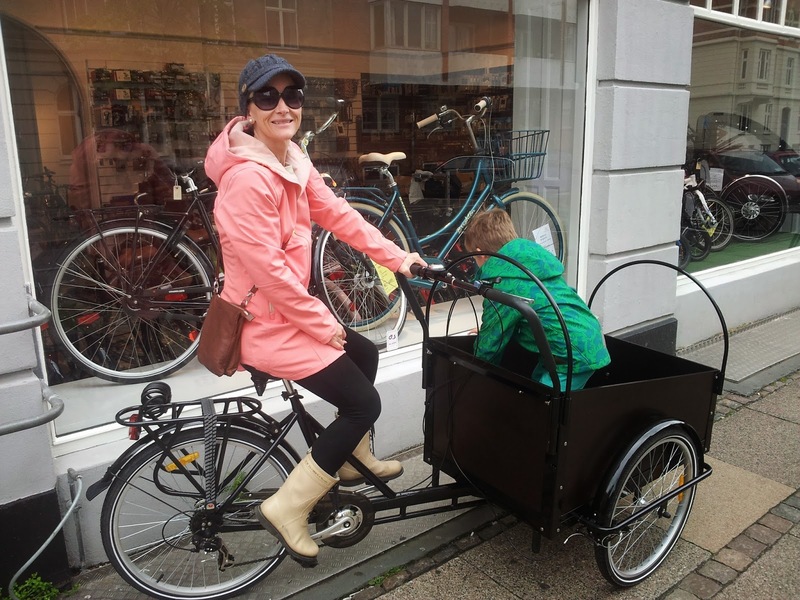 I really wanted to get a few shots like this to help people in Adelaide understand that cargo-bikes are often ridden by women, and you don't need to be an athletic guy to move your family this way. This is a road safety centre playground like the one that used to be at Oaklands Park for kids to play and learn the road rules in a safe way. 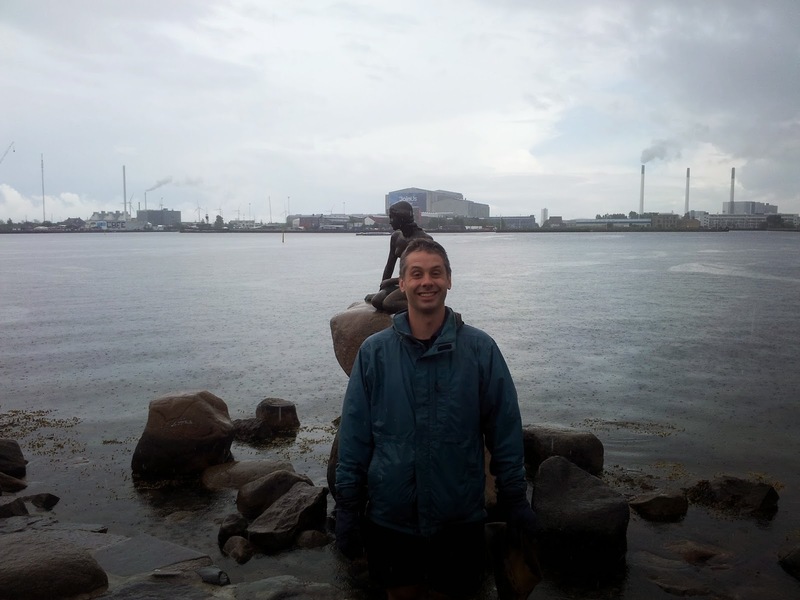 I am visiting Copenhagen, so had to have my picture taken by the little mermaid. 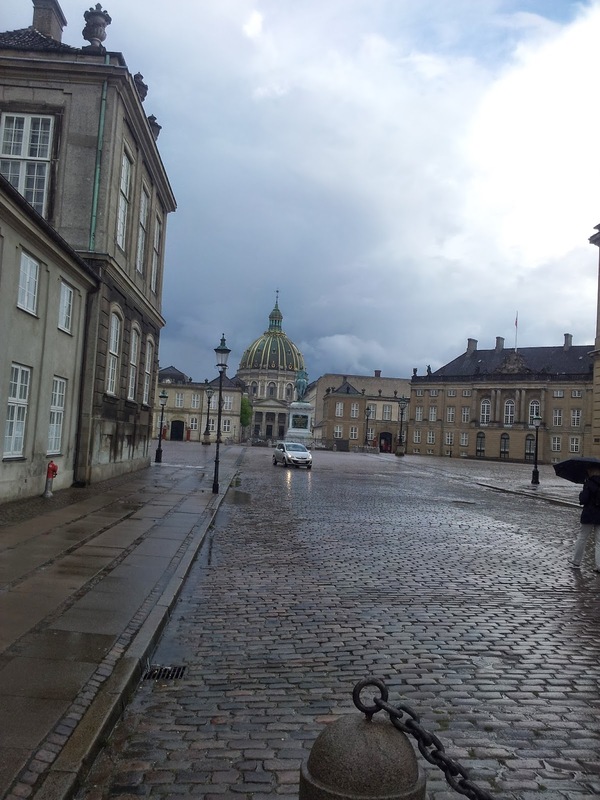 Cobblestone road next to the Royal Palace. The queen was apparently in, but I didn't see her. 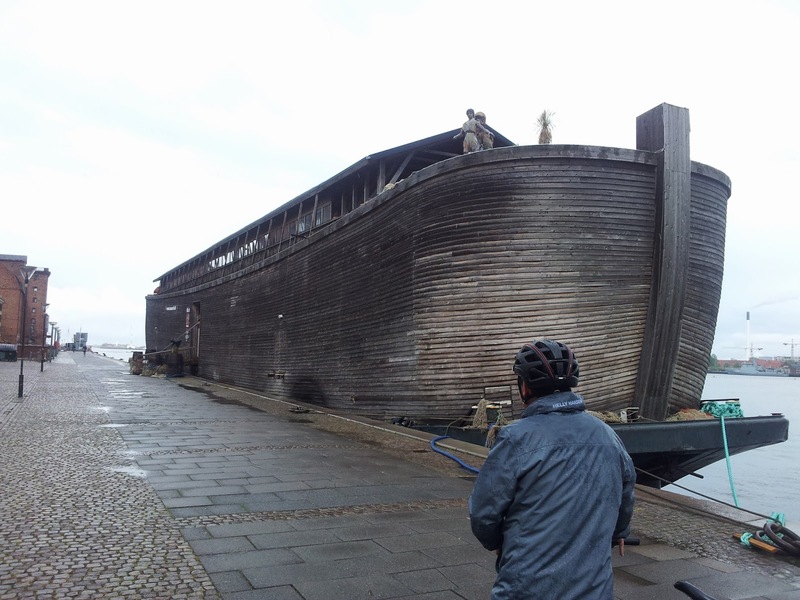 There is also a Noah's Ark you can go on and do various things. It was quite rainy as can be seen by how wet Bo was. 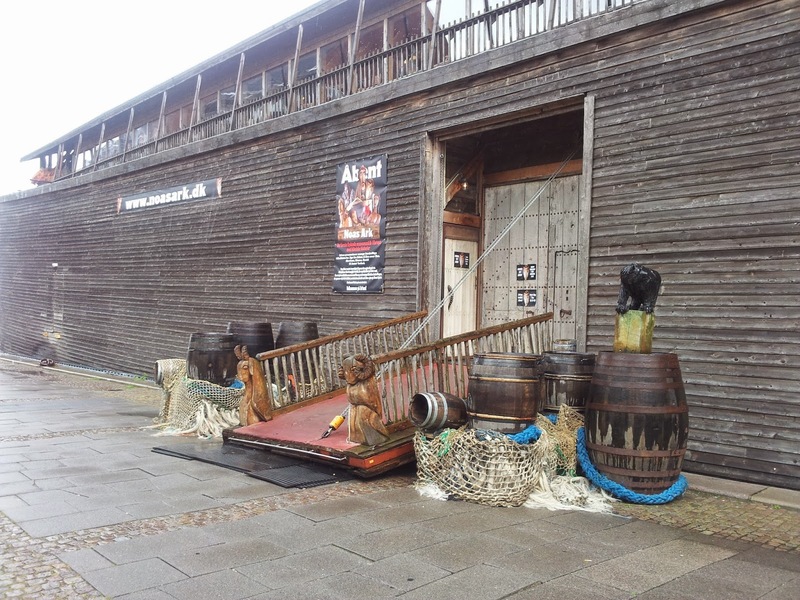 The entrance to the Ark.